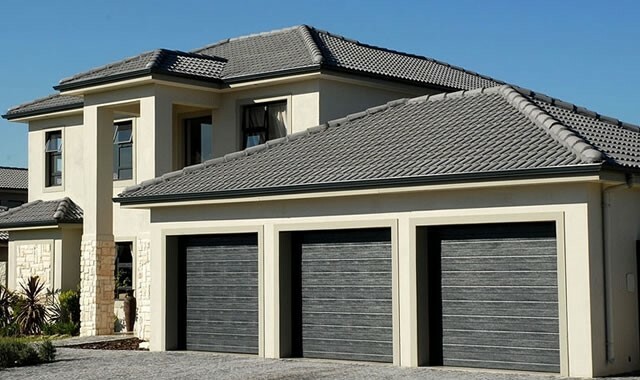 The Aluzinc garage doors are 2-4 times less corrosive than other garage doors. This is a side view of the pinch prevention. 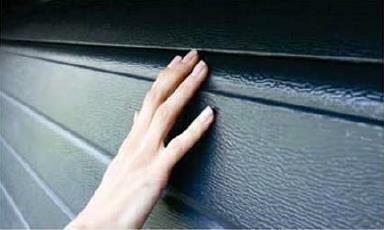 This Garage door is designed to protect you from hand or finger pinching injuries. 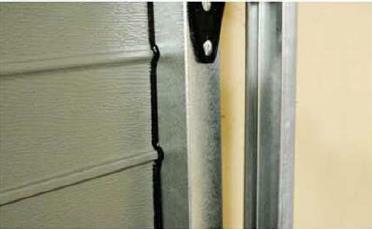 With this safety feature it also has a higher intersecting join that seals each panel into the next panel. 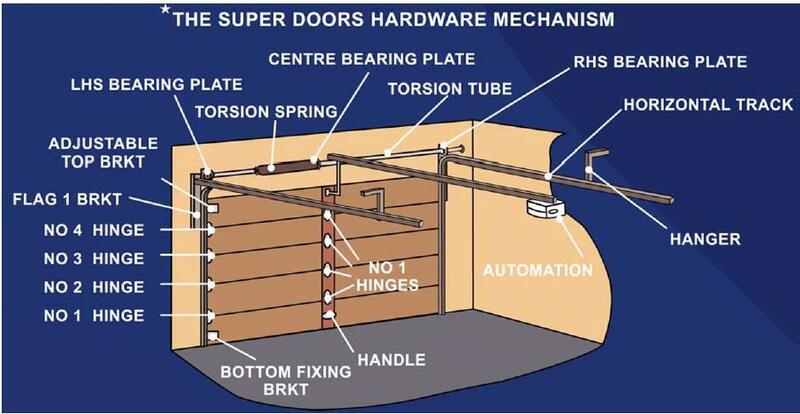 This Garage door prevents dust and rain penetration. Double lipped intermediates allows for double the glued area. Greater glue surfaces, which consist of a polyurethane high modulus glue, has been proven to be the best in adhering metal to metal, ensuring a 50% tougher bond. The boxed endcaps being fixed on both sides supports the panel, preventing bending and allows for tougher and more fixing of hinges and hardware. 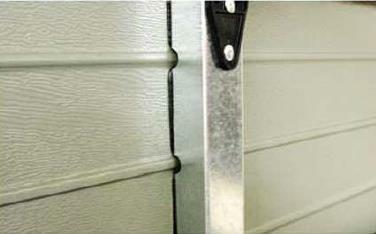 Hinges that is fixed properly has a smoother and quieter functioning door. 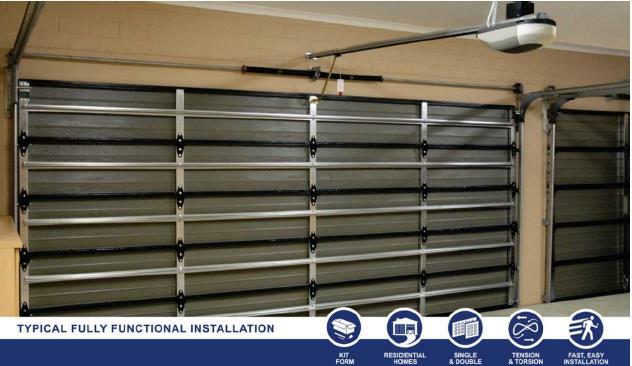 lengths to suit your required opening for up to 2.7m high. A durable 4 button remote control to attach to your keychain. 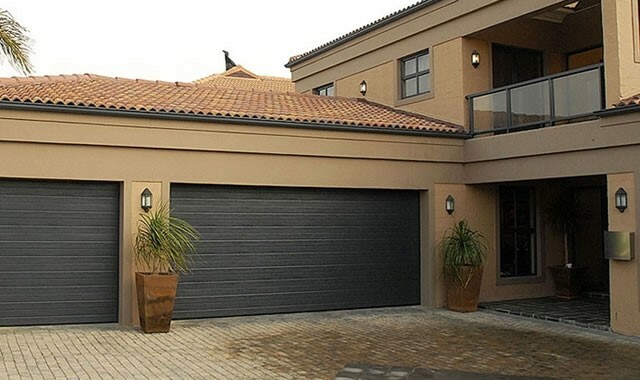 You to use your garage door remote control for convenience and security. A wide angle lighting for your surroundings. It has a 2 minute delay after opening. Copyright © 2019 . Website by Claw.